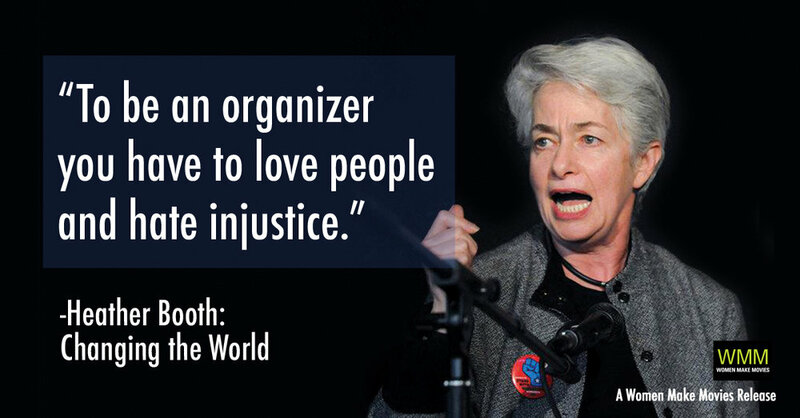 On May 30, 2018, WDC hosted lifelong activist Heather Booth and screened a new film about her life, “Heather Booth: Changing the World.” The event was led by Education Co-Chair, Brenda Wolff; attendees included WDC members and their guests, Democracy Summer fellows, and community members. Heather is a rock star in the political community as a champion for critical issues in our society. She has been an organizer for over forty years, starting in the civil rights and women's movements and continuing today. Heather is the founder and President of the Midwest Academy, a progressive organization that teaches grassroots community organizing methods. Although she said she began as an issues advocate, she quickly learned the pervasive influence of politics on the issues she cared about. She encouraged attendees to get involved in both issue advocacy and political work. She has managed many political campaigns; served as the first director of the NAACP National Voter Fund, dramatically increasing African American voter participation in 2000; and served as the Training Director for the Democratic National Committee. Heather emphasized the importance of getting involved at the grassroots level. The “Heather Booth: Changing the World,” website includes a vast amount of information on how to get engaged. One key organizing tool is the “Midwest Academy Strategy Chart,” available on the website under “Take Action.” For more information about the film, to host a screening, or to get involved visit the official “Heather Booth: Changing the World" website heatherbooththefilm.com.